Dream Chemistry will be performing at the Glendale Chocolate Affaire on Sunday, Feb. 5, 2012 at 12:00pm – 2:00pm. We are excited to finally be playing at a City of Glendale event. And where better than amongst all that delectable chocolate. Come on out and enjoy an early afternoon tasting and listening before the Superbowl. We will have CD’s and t-shirts for sale during and after the show. Hope to see you all there! And please check out our review section to the right of the page. There are some great reviews on the new CD! Dream Chemistry will be performing at a new venue in Goodyear on three consecutive Fridays -October 1, 8 and 15. Please come out and support the group and this new outdoor venue. We will be performing at 7pm. Below is the press release for Goodyear Gardens. All pertinent information (time, location, etc) is contained within the press release. Concert Season at Goodyear Gardens officially begins on Friday, October 1st, on the grand AZ Weekly Stage with performances provided by Dream Chemistry, starting at 7p.m. Dream Chemistry will return to perform at Goodyear Gardens on following Friday evenings of the 8th and 15th of October. All Dream Chemistry concerts are free to the public. Food and beverages are available for purchase at Goodyear Gardens. For more information, please visit websites goodyeargardens.com and dreamchemistry.com or telephone Goodyear Gardens at (623) 932-9191 and ask for Jay Patel. Dream Chemistry at Storm Wisdom April 24 & 25!!! Come join us at Storm Wisdom’s Enlightenment and Art Festival on Saturday, April 24 and Sunday, April 25. The event is from 10:00am-6:00pm. There will be plenty of vendors and cool things to check out. Dream Chemistry will be performing around 1:00pm-4:40 pm each day. Come out and see the ‘new and improved’ Dream Chemistry. We hope to see you all there. Storm Wisdom is located at 3375 E Shea Blvd. right off of the 51 northbound. We ended up with a last minute engagement at the Anheuser Busch Brew House at the Arizona State Fair this evening at 7pm. We will also be playing again same place, same time on Wednesday November 4. If you catch this post -please try to make it. We will also be playing on November 7th & 8th at Storm Wisdom’s Enlightenment and Art Festival from 2pm-5pm both days. – please visit www.StormWisdom.com for more information. We will be performing at the Merritt Center in Payson, AZ on Saturday, Oct. 10 for their annual October Fest. This is a Fundraising event for returning veterans. I urge everyone to go to www.MerrittCenter.org for more information about the program, the event and directions. The donation entry fee is $45. Please help in this worthwhile cause! Take a drive up to Payson this weekend –get some fresh air and listen to some great music. Other performers include – Sustainabillies, Steve & Robin, Storyteller, and more. 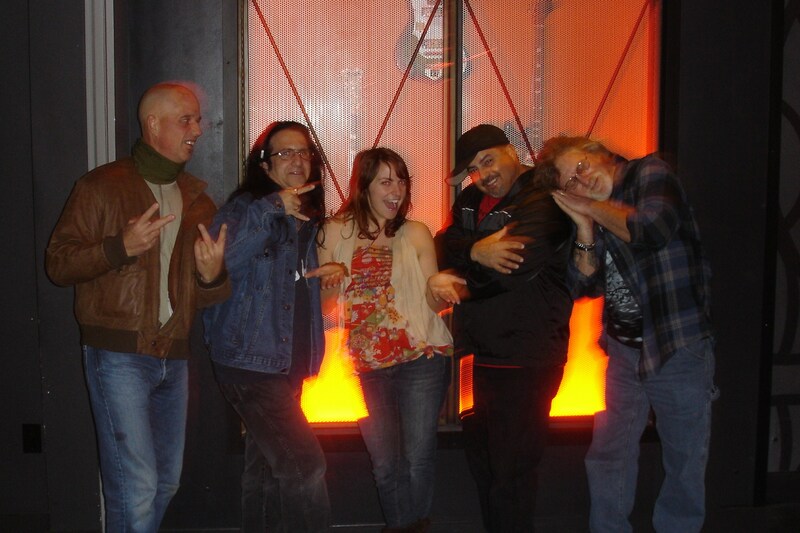 Join us at Next Coffee Company on Saturday, September 26, 2009 from 7pm-10:30pm for our CD release party. We will be performing all the songs from the new CD and many others. Please mark this date on your calendar!!!! ADMISSION IS FREE!! CD’s will be available for $10 at the show. This will be your only chance to get the CD at this price. You will be the first to own the CD, as the official release date is October 1. Please don’t miss this special event!! We are very excited about this accomplishment and would appreciate your support. Also, we got confirmation today that GOMI will be doing an, all acoustic, opening set. I love these guys and I think you will, too! GOMI goes on at 7pm and DREAM CHEMISTRY will play from 8pm -10pm. Next Coffee Company is located at the corner of 59th Ave & Utopia. We will be playing at Ticoz with some other bands on Sunday, September 20, 2009. This is a fundraiser and admission is $15. What do you get for $15? A nice spread of food, some great entertainment and the comfort in knowing you are supporting a great cause!